I am stranded in Orlando, Florida. 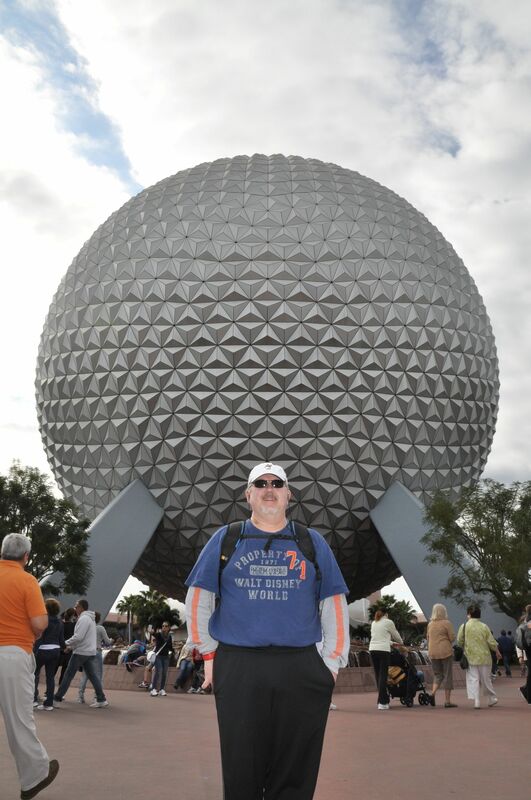 I am stuck on Disney property. Now, I love Disney. But, as my late father once said, “I may be thirsty but I don’t want to drink from a fire hydrant.” I’ve had a wonderful time here with my daughter, Casey (for her birthday) and my sister, Gwen and her daughter, Rhonda. But, my wife was supposed to fly down yesterday and my sister and daughter fly home and I will be lucky if flights resume tomorrow. Which only goes to show that too much of a good time is just that. But, the cast members here are making the best of a bad situation — lots of rain and record low temperatures as wells as cancellations of flights necessitating extensions of room reservations. Today, for instance, it is drizzling rain and about 45 degrees. If you know Florida, you know that a cold rain in Florida is miserable! On another note, I received a very nice email from a fan. Yes, a fan! I seem to have those. She loved “The 11th Demon” and wanted to know when “The 10th Demon” would be out! Those are wonderful words. But, let me clue you in on a little insight to the publishing industry. Books must sell. Publishing is a business. And, for number 10 to show up, I have to sell lots of number 11! I will soon begin a marketing campaign, so hopefully more people will here about Jonathan Steel and his exploits. I have been asked to write a guest post for Speculative Faith, a website devoted to Christian Speculative Fiction and I will keep my readers posted. Maybe some word of mouth will boost my book sales. If not, then Jonathan Steel’s story may end with the 11th demon even though there are ten more books in the pipeline. I’ll tell a sodden, shivering Micky Mouse you said hi! Remember, you can order all three books at a discount at www.11thdemon.com . If you have never seen the BBC production of Sherlock and you are an avid reader or even interested in good, solid writing, then shame on you! 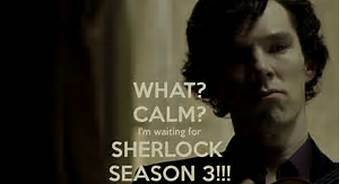 I watched the final episode in season 3 Sunday afternoon (I had to search the internet to find a quasi-legal live stream of BBC because Sherlock Season 3 will not be available in the U. S. until this coming weekend) and wept, screamed with delight, shouted with shock, and almost fell out of my chair in the final five minutes! Such is the sheer wonder of watching any show from the Mark Gatiss/Steven Moffat team responsible for the modern adaptation of Sherlock and the past three seasons of Doctor Who. In my last blog post, I mentioned what I consider the smartest science fiction television episode of modern times, “Blink!” written by Steven Moffat. As a writer of Christian speculative fiction, I truly appreciate smart, clever writing. Too often, our modern writers over explain things or, worse, never explain anything leaving you hanging in an eternal limbo of unanswered questions. Recently, Steven Moffat came under criticism for his stories containing “plot holes”. Hmmm. Plot holes? Reading between the lines, unanswered questions. Here is what he had to say about his “plot holes”. Ah, are you are clever reader? Or, do you prefer for the author to spell everything out in great detail? In the business, authors use the acronym, RUE. Resist the Urge to Explain! You see this rule violated with increasing frequency. I call it the tyranny of “as you know”. The new show, “Intelligence” abandons subtlety for blanket exposition. Things are explained to the audience because we are so stupid, we might not get it. Many lines of dialogue can be prefaced with “As you know, so and so has this computer chip implanted in his head which gives him the ability to . 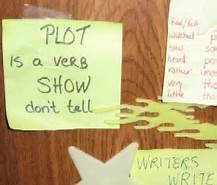 . . .” This bleeds into another staple of writing, “Show, don’t tell”. A “clever” writer shows the facts we need to know instead of spelling them out. In the recent third season of “Sherlock” viewers (spoilers ahead — don’t read this paragraph if you have NOT seen season 2) waited for TWO years to find out how Sherlock survived his demise at the end of season 2. Great debates raged online. In my home, my daughter and her best friend and I watched the episode three times and came up with our own theory. Now, the lazy writer would have started off this new season with a quick and dirty explanation of how Sherlock survived. Instead, we are treated with numerous live action replays of some of these “theories” in what is some of the most clever sequences ever. In fact, the viewer doesn’t learn about the truth until near the end of the episode and it is an integral part of the unfolding story of Watson’s reunion with a supposedly dead Sherlock. Plot holes? I think not. I was engaged. I was a part of the process. It was hard. It was tedious. But, it was fun!!! And, as a reader, the best books make me carry part of the load. The best written stories make me work along side the author in solving the “plot holes”. “Lost” has received great criticism for its finale. But, if you watched the show, you realized it was addictive and compelling. For the entire run of the series, fans formed theories and ideas. The reason the finale was not satisfying is because the hype over the finale (like the new Star Wars movies back in 1999) could never satisfy all of the various theories floated by fans. Steven Moffat recently ended the 50 year run of Doctor Who with his own “trilogy” and the story he wrote changed the entire direction of the show for the next 50 years. Theories were abundant on the internet and in homes around the world. My own family was rife with theories. My son and his wife had their own theories that were, to me, quite exotic and bizarre. The point of all of this is that we were ENGAGED. These supposed “plot holes” served to pull us into the story. We worked hard for months leading up to the finale trilogy realize that the excellent writing of Steven Moffat would go in a direction we could never have seen and also, instead of disappointing us, it would leave us supremely satisfied. And, that was the results for us when the credits rolled at the end of “The Name of the Doctor”, “The Day of the Doctor”, and “The Time of the Doctor”. We have forgotten the joy of anticipation! I write this blog to talk about writing and being an author. So, the takeaway from this post is simple. We need “plot holes”. We need writing that engages the reader or the viewer. In a culture where answers are just a text away; where information flows through our brains like “crap through a goose” as Patton once said; where choices are endless and we live in a whirlwind of instant gratification it is comforting to know that clever and skillful creative minds out there still value the “plot hole”. As for me, I want to work to solve the problem of the story; I want to step into the world created by the writer and be just as stymied and stumped as the protagonist. In short, I want to be IN the story, not sitting back just observing. I want to enjoy the journey just as much as the destination. So, keep on resisting the urge to explain. Continue to show, don’t tell. And, you will have a rapt and grateful audience! 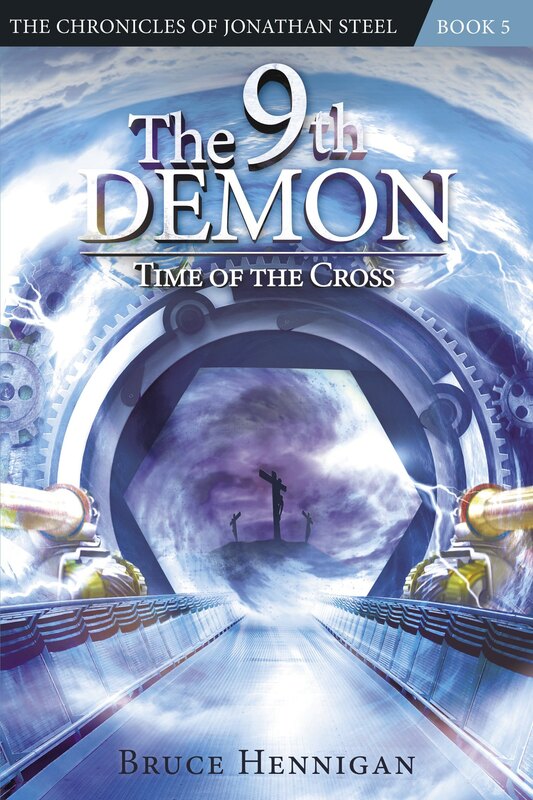 Remember, my own three books in the “Chronicles of Jonathan Steel” complete the first trilogy in my thirteen book series and are available at 11tdemon.com for a special price right now. Check them out and see if I was successful with RUE and Show, Don’t Tell! There is a scene in my play, “The Homecoming Tree” where a 13 year old boy cuts down a tree for Christmas and it falls on top of him. It knocks him out and he has a vision of his father from whom he has heard nothing since the bombing of Pearl Harbor ten days before. It is a moving and chilling scene in the midst of this play and it serves as a turning point in the boy’s life as he realizes he must put aside childish things and become a young man. That incident is based on a true story. I wrote about my own experience cutting down a tree for Christmas at the age of 11 here. I have written well over 100 plays since 1989 and on reviewing these plays, I realize I have imbedded within these stories bits and pieces of my own life story. Characters emerged based on real people from my life experiences. Ideas and messages surfaced based on my own life lessons. Such is the life of a writer. Often, whether or not we realize it, we bring to our stories pieces of our life. Sometimes, this is conscious. Other times purely subconscious. My wife does not like serious movies. She only goes to a movie that will make her laugh. Yesterday, she asked if we could go see “Saving Mr. Banks”. And so, I, my wife, and my daughter Casey found ourselves in a crowded theater on a Sunday evening expecting to watch a light hearted movie about Walt Disney and P. L. Travers, the author of the Mary Poppins books. We went through more than three wads of napkins. In fact, if we had brought a box of tissue with us, it would have been inadequate. I was totally unprepared for the story that played out on the screen. In short, it was depressing, uplifting, sorrowful, and joyful. I went through a dozen roller coaster moments. And, it was easily the most wonderful film I have seen in the last year. 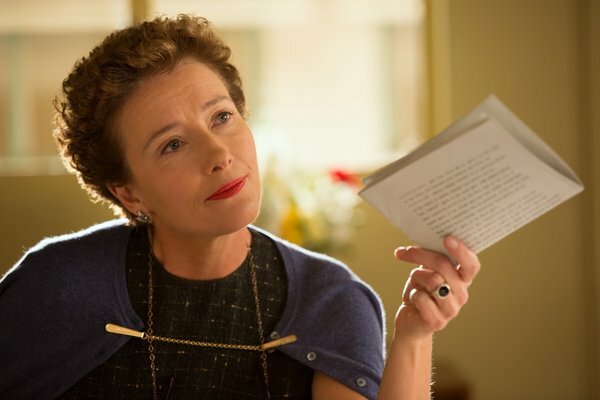 “Saving Mr. Banks” focuses on P. L. Travers’ childhood and the influence of her father on her imagination and her life. From what I gather from the film and from reading about her, she was not a happy person. And, she was totally against Disney’s “Disneyfication” of her books. What makes the movie stand out is not Emma Thompson’s magnificent portrayal of Travers or Tom Hanks’ very serviceable portrayal of Walt Disney. Rather it is the growing realization by Travers of what her books are REALLY all about. Now, this may sound strange to the non-writer. How can you write a book and not know what it is all about? How can you tell a story and not see all of the nuances, the sub-texts, the messages hidden within the story? What? No, that was never my intent. My demons were not figurative. They were literal, real destructive beings in the book. They were NOT metaphors! However, if the story did have that message for this particular reader and it made him think about the destructive power of greed, then I did do some good with the book. After seeing this movie, I stopped and asked myself if my first book was about greed after all. Did I subconsciously associate wealth with evil? Do I see rich people as inherently greedy, evil, manipulative, and demon possessed? Good question. Because, as a writer, all of my preconceived notions color every aspect of my writing. Perhaps I need to stop and examine my past and see if I was emotionally damaged by a wealthy person; if I felt betrayed because I grew up in poverty and was deprived as a child. Was that possible? The answer will wait for another blog post. The point I’d like to make is the power of our past to drive and color the present expressions of our imagination and creativity. Our own personal demons; the ghosts of our past; the “messages” that programmed us as children are still there. I would like to think I have pushed them away into a corner of my mind. I would like to think I have healed. But, watching Travers as the childish innocence of Disneyland brought back painful memories of her father and his battle with substance abuse brought pain back into her life, I began to wonder. How could I have possibly known that one cold afternoon while trying to cut down a Christmas tree and almost getting hurt and possibly killed in the process, that incident in my life would one day become part of my Story. How could I have possible known that a painful memory could become a scene in a play or a book? How could I have possibly known that these painful memories would resonate with a total stranger; that the story from my life would intersect with a stranger’s story? How could I possibly imagine that my little snippet of a story would be the Answer to a life long prayer; a pleading for understand; a search for release from bitterness and anger? Like the greed metaphor, that was never my intention. But, it was God’s! If you are creative in any sense of the word, you MUST go see “Saving Mr. Banks”. It is a powerful and amazing story. It has inspired me. It has uplifted me. It has given me such solace and peace for this tortured soul of a writer. It has made my puny efforts and my doubts fly away like a kite soaring up “where the air is clear”. Go fly a kite! Go see this movie! And, then come home to the cloistered world of your life and tell your Story! And then see how God uses it to make this world a better place than you found it! Don’t forget you can purchase all three of my books from the Chronicles of Jonathan Steel at a discounted price at www.steelchronicles.com or www.11thdemon.com.